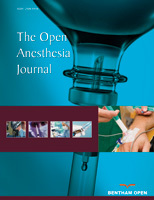 A comatose patient required a tracheostomy. His Glasgow Coma Score was 4 and he was intubated with mydriatic and isochoric pupils, without corneal and light reflexes. Two previous EEGs showed signs of severe and diffuse encephalopathy (arreactive delta and theta rhythms) and there were no somatosensory evoked potentials recordable at the scalp. When the tracheostomy procedure was carried out, the Bispectral Index (BIS) helped to titrate the hypnotic and analgesic requirements keeping the haemodynamic parameters stable.